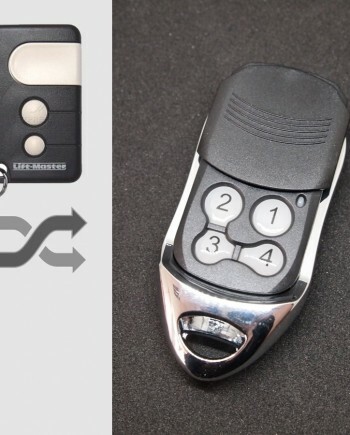 An aftermarket compatible remote, perfectly replaces your plastic Beninca remote control, works where Beninca TO.GO 2WV works. Wondering if it works same as Beninca TO.GO 2WV remote? Watch our video showing how we program it to Beninca standalone receiver. 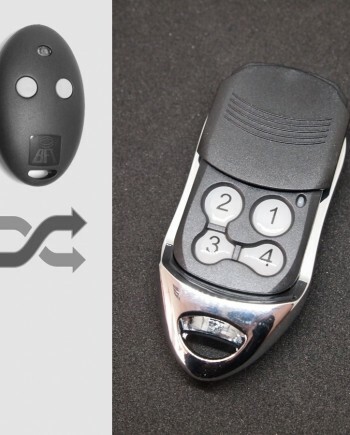 Our Beninca #B2 compatible remote replaces many Beninca remote control models including genuine Beninca TO.GO 2WV key fob remotes, as well as other Beninca remote models such as TO.GO 4WV, LOT1WCV, LOT2WCV, LOT4WCV, LOT2WCVM, T2WV, T4WV, Cupido 2, Cupido 4 and all IO series small factor size transmitter etc, it also works with Beninca radio remote systems using KeyPad APPLE 4WV control. Compatible Beninca gates, garage door and barrier operators includes BOB21, BOB50, BILL, KBN24, MBE, PREMIER, DU.IT, DU.350N automation for swing gates, KPONY, BULL, BISON automation for sliding gates, ZED, JIM, VN.S, VN.M, VN.MT40V, VN.S40V, ADAM automation for garage & industrial doors, EVA, LADY, VE, VE.SOM, VE.SOR road barrier and car park saver as well as other standalone receivers made by Beninca. Please note the above models can possible install other incompatible receiver modules, so the safe way is to check if your receiver card is one of the following, ONE.2WB, ONE.2WI, ES.MINI, RR.4WBV, RR.4WBV24, RR.2WBV etc 433.92MHz rolling code receiver. 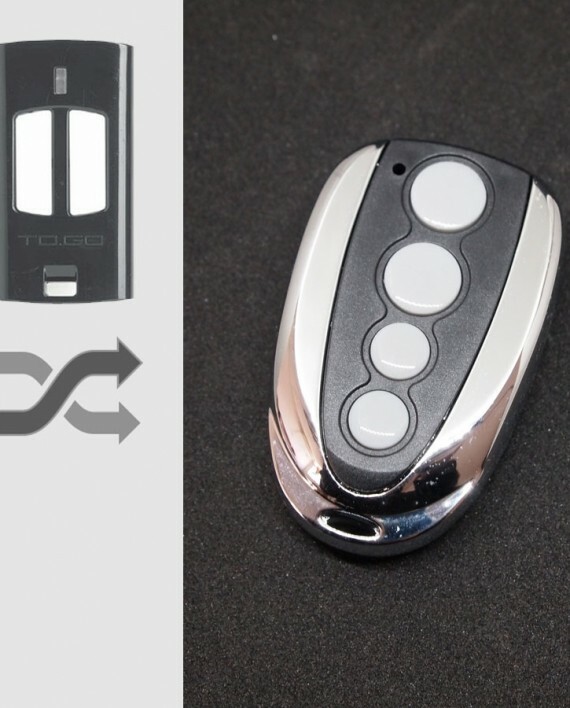 Not compatible with some other Beninca remote control models, some looks very similar the only difference is button or case color, so need careful identification, such as remotes using old 30.875 MHz, 40.665 MHz or 306 MHz frequency, such as LOT1E, LOT2E, LOT4E, TX2 BLUE 30.875 MHz, TX4 BLUE 30.875 MHz, LOT1ECV, LOT2ECV, LOT4ECV, LOTX1A, LOTX2A, LOTX4A, LOTX1PS, LOTX2PS, LOT1A, LOT2A, LOT4A as well as some 433.92 MHz remotes but using different code, such as TO.GO 2WP, TO.GO 4WP, TO.GO 2WK, TO.GO 4WK, LOTX1W, LOTX2W, LOT1W, LOT2W, LOT4W, LOT2WMS, ROLLKEY, T2WK, T4WK. Beninca remote controls are made by AUTOMATISMI BENINCA SpA, part of BENINCÀ HOLDING group, the group is composed by 6 companies, with the following brands BENINCÀ, gate and door automation systems, CAB, shutter and blind motors, BYOU, gate automation systems for the DIY market, HI MOTIONS, accessories for gates, RISE, parking barriers, turnstiles and access control systems and MYONE, automatic doors. Thanks to this process of growth, development and evolution, Benincà is today a company leader in the field of automation and it distributes its products in 108 countries worldwide through a network of distributors, specialized partners and 9 foreign branch offices located in Europe, America and India. 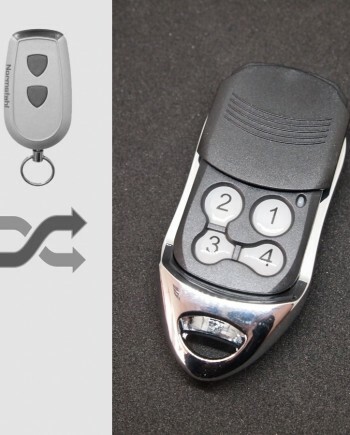 Based on our marketing research, the best-selling Beninca remote control models are Beninca TO.GO series, the TO.GO 2WV is the rolling code remote used in this series. Beninca TO.GO 2WV is with 2 channels in black color, combines design and innovative lines in a transmitter with multiple functions, features secure rolling code & service range up to 300m thanks to the 12V batteries easily to find in the market, also there is 4 channels version TO.GO 4WV available for choose from, if you need to control more automations. There are 3 different code exist in Beninca TO.GO series they are rolling code used by WV, IO and APPLE remotes, programmable code used by WP and latest advanced rolling code used by TO.GO ARC, they are not compatible with each other, but all can be programmed to ONE.2WB or ONE.2WI receiver, which support them all. Also please note Beninca makes 868 MHz version, they’re not compatible with 433.92 MHz versions. 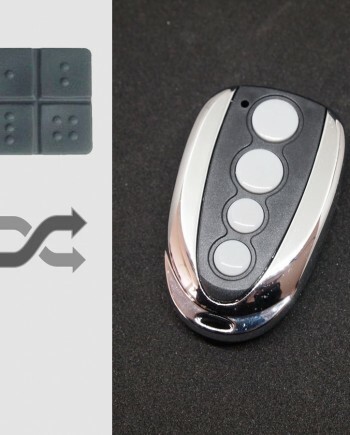 Beninca brand remotes are widely used in European countries, such as Italy, France, UK, Portugal, Spain, Poland, CzechRepublic, Bulgaria, they can also be found in USA and India, so there are many locksmiths, garage door opener & gate remote dealers need Beninca remote controls in this region. Transmitting frequency at 433.92 MHz, features secure self-learning rolling code encoder, uses 1 x 3V CR2032 lithium battery, remote control distance is around 50m, with sliding cover protection. Official Beninca TO.GO 2WV remote control programming guide is missing on Beninca website, you can find it on your door opener’s owner book, link to official leaflet is here. Watch programming video for Beninca TO.GO 2WV on YouTube, our replacement remote works the same as genuine Beninca remotes, so they share the same programming procedure. We make Beninca TO.GO 2WV compatible remote in our factory in China, so we know our products better than anyone else in the world. 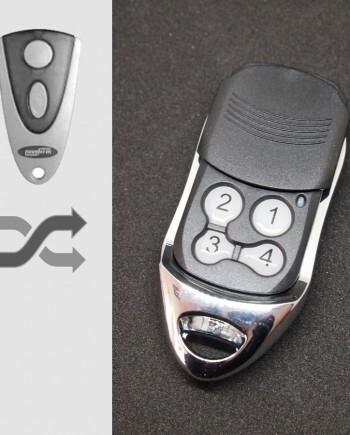 We’re confident in our engineering team & quality control, actually our Beninca compatible remote uses the same key components as genuine ones. 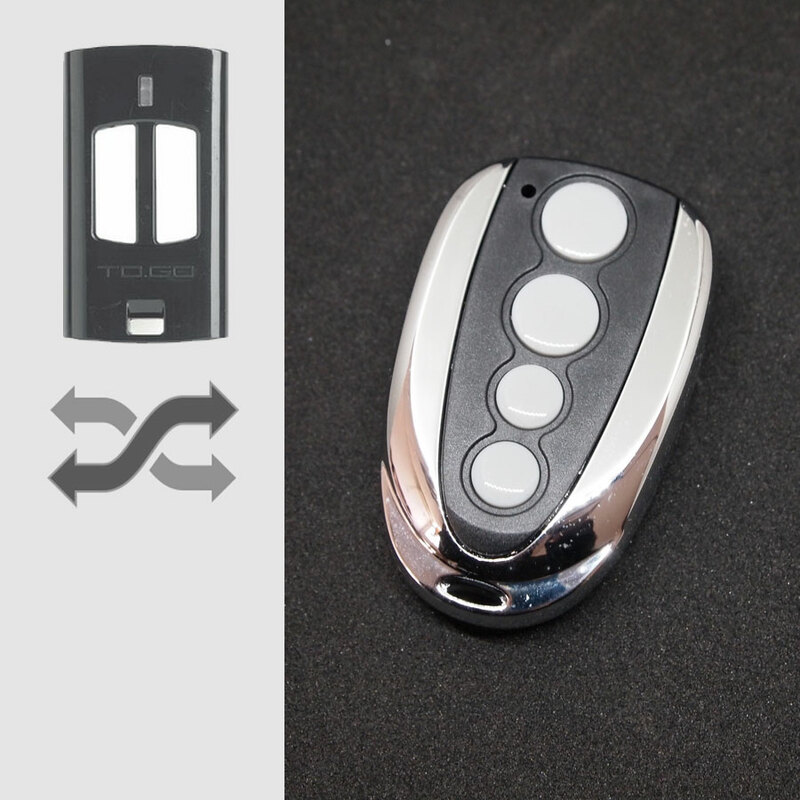 Comparing our factory-direct low price with high price of genuine Beninca remote, you can have considerable profit by selling our products. 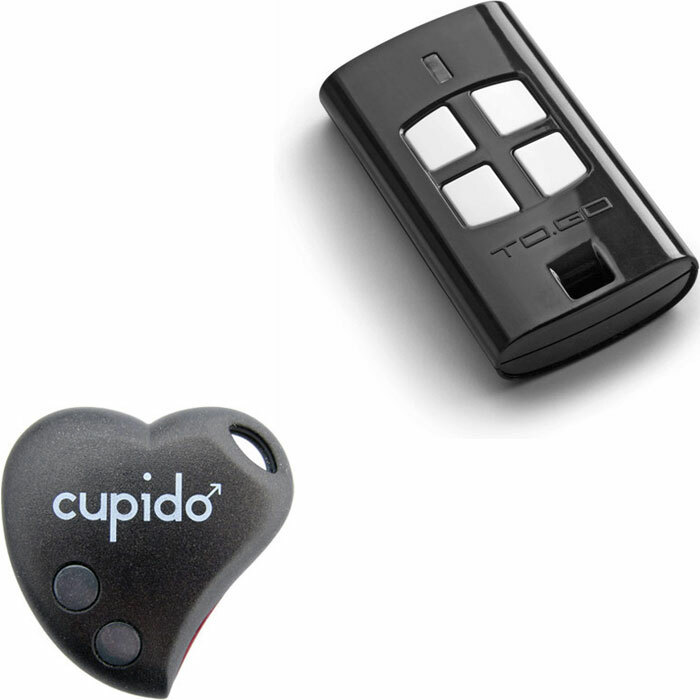 * Our Beninca compatible remotes are white label products with optional logo printing service for bulk orders.